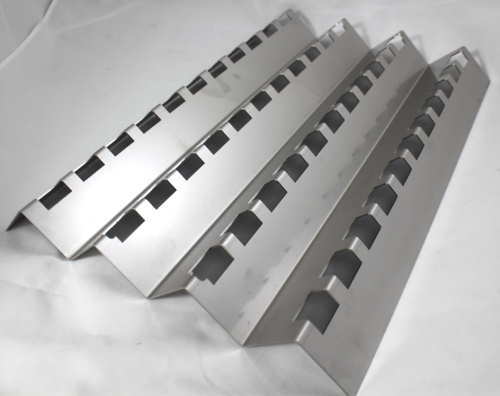 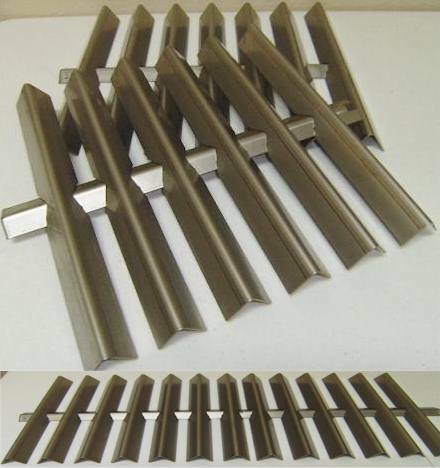 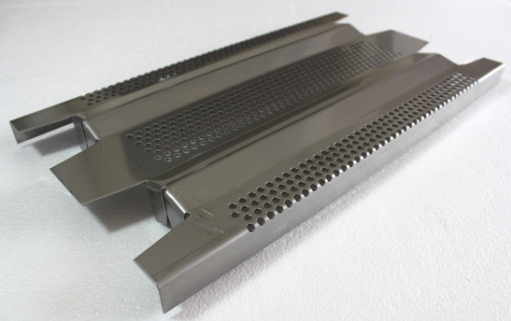 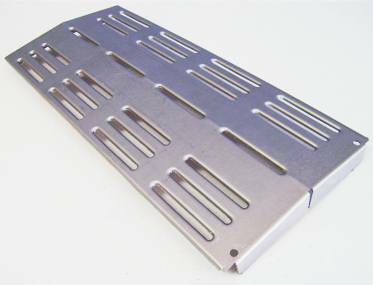 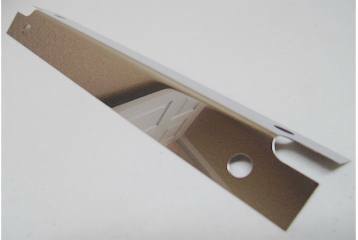 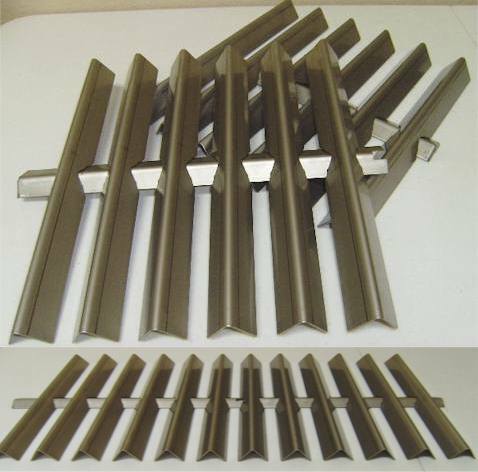 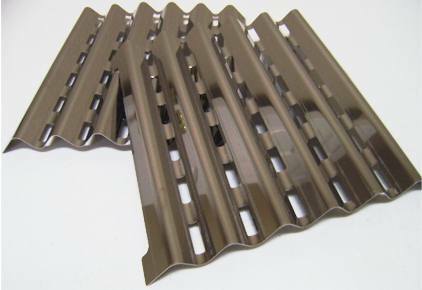 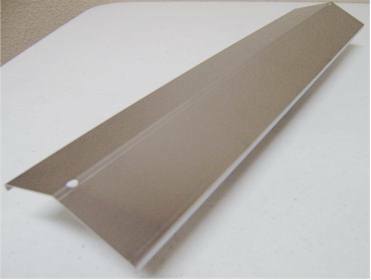 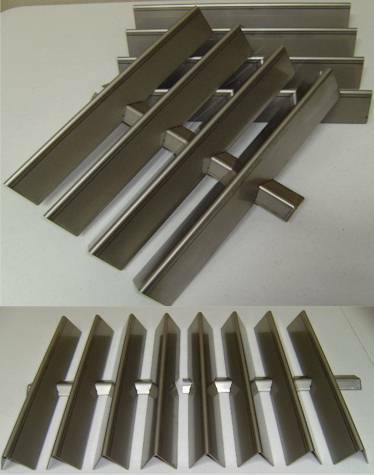 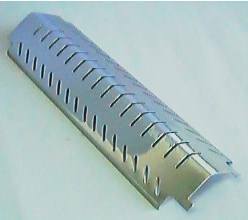 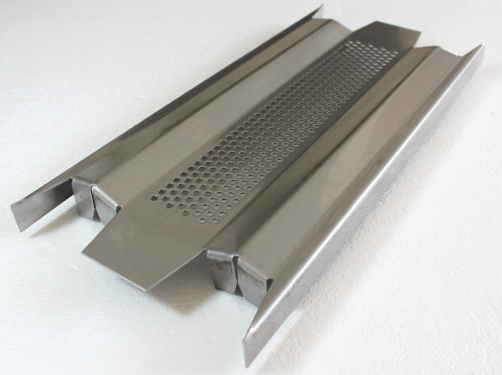 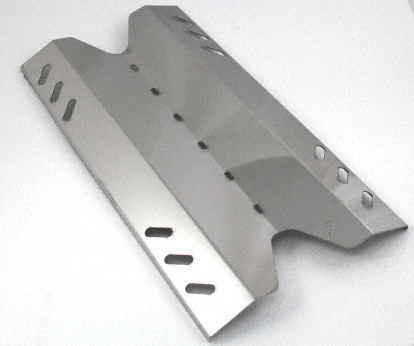 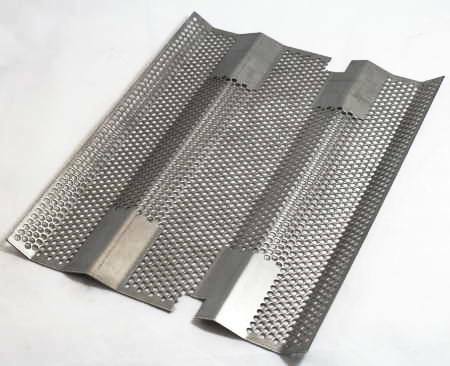 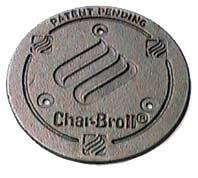 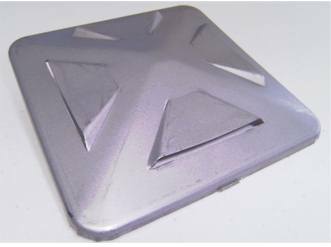 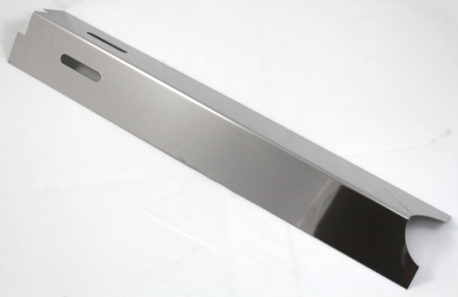 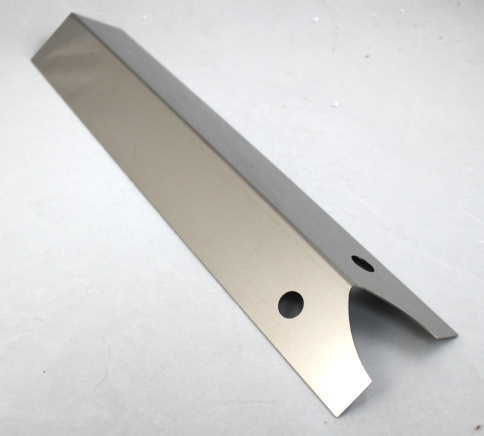 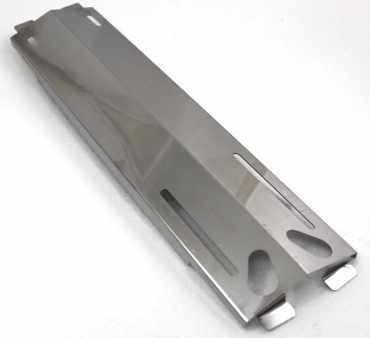 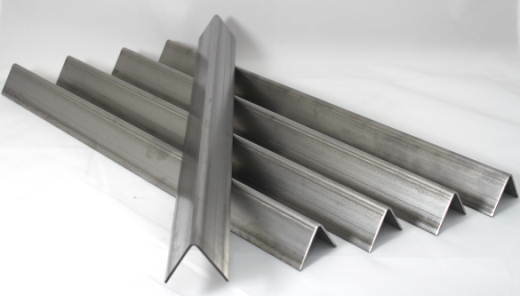 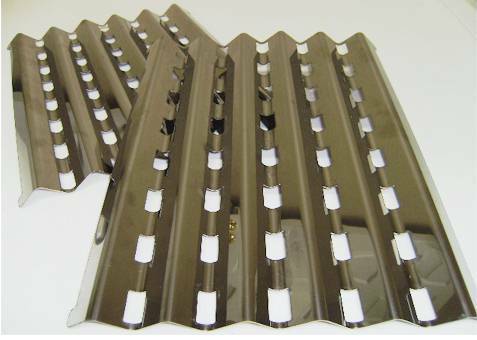 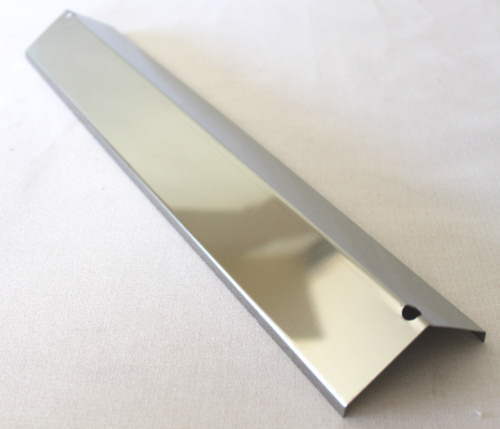 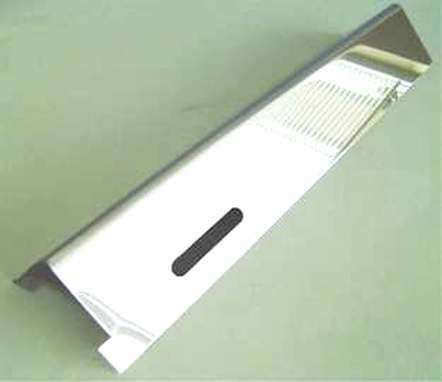 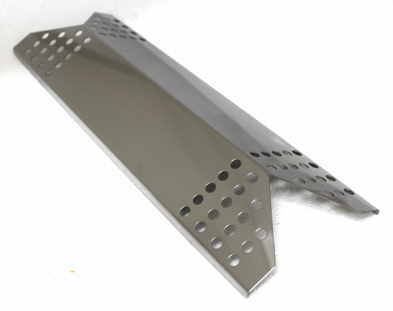 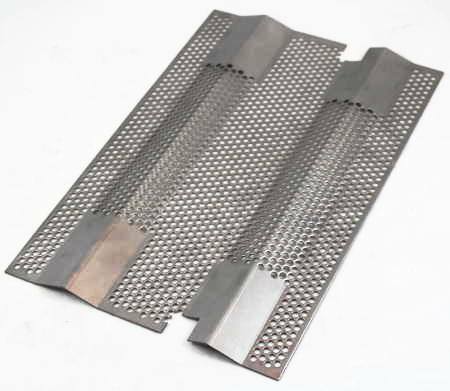 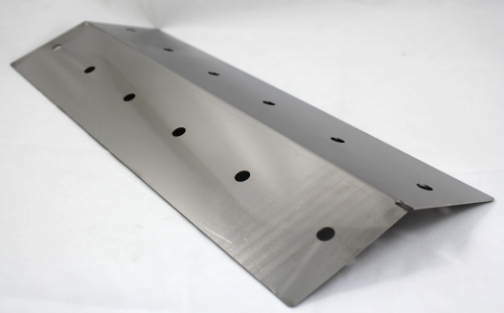 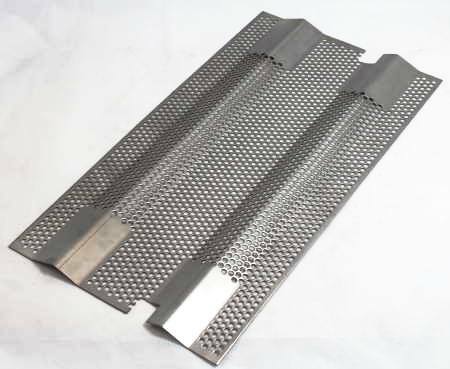 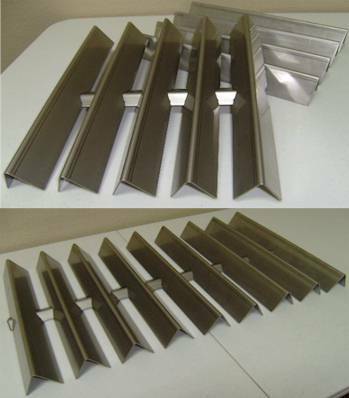 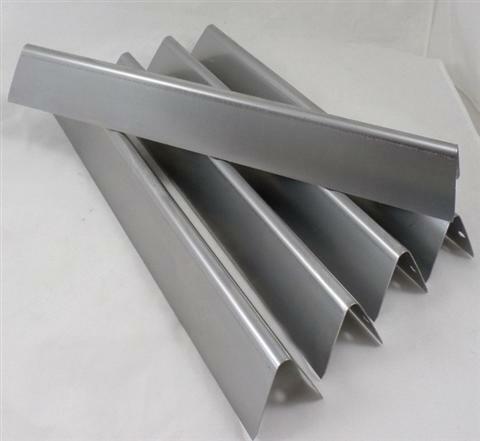 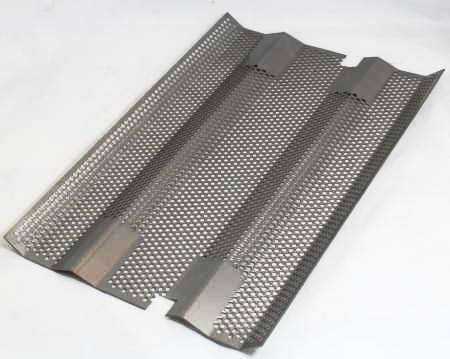 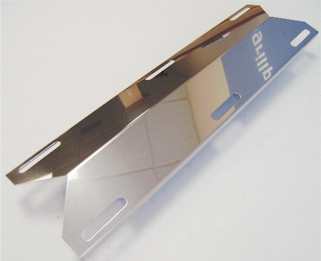 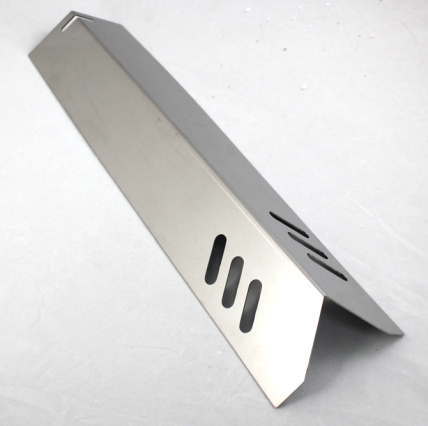 Stainless steel heat distribution shield. 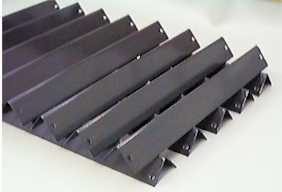 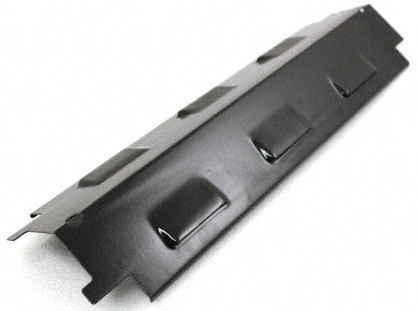 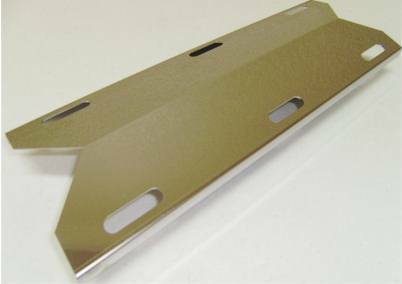 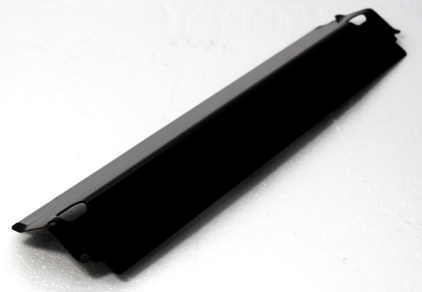 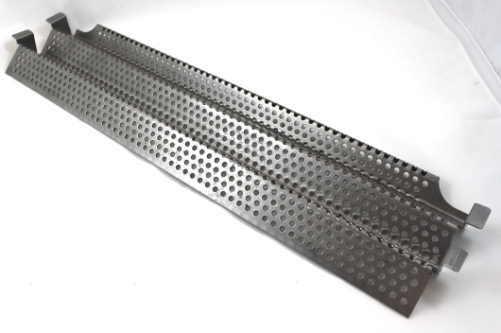 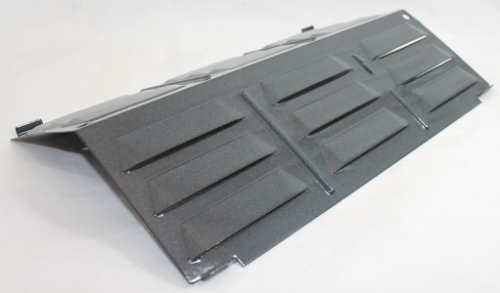 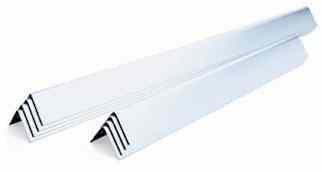 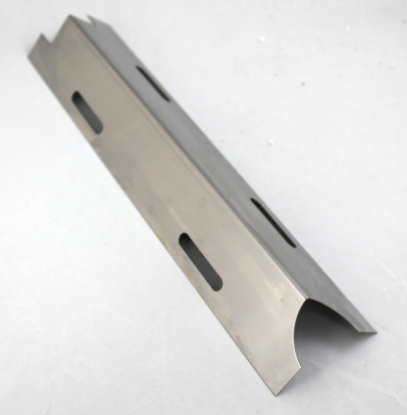 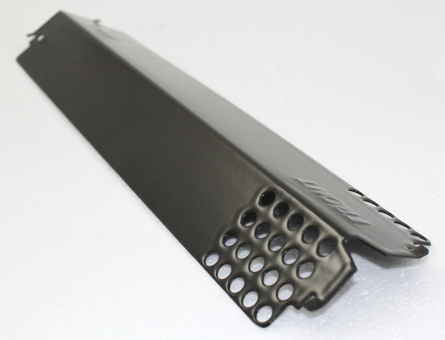 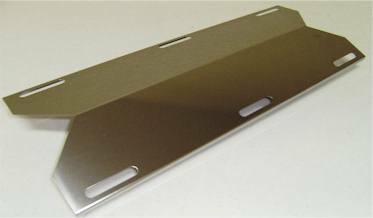 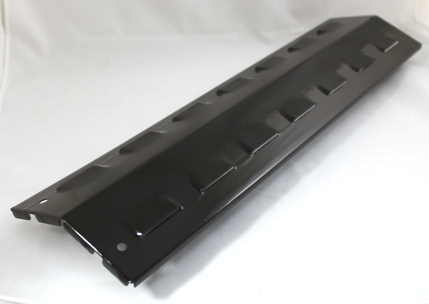 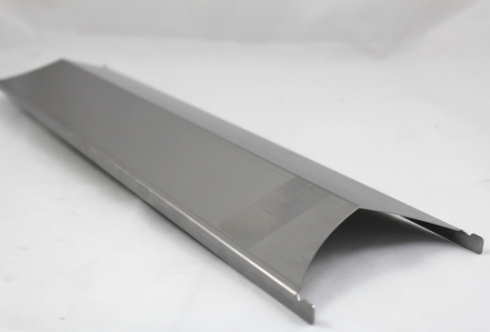 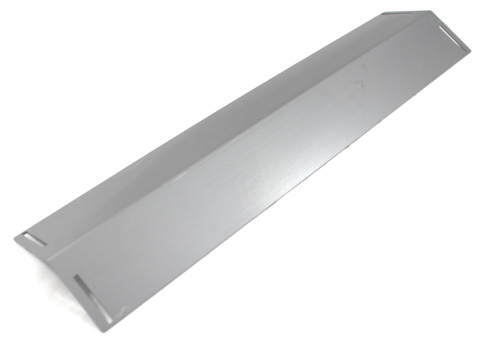 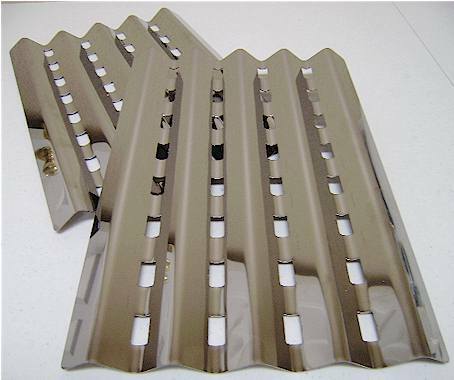 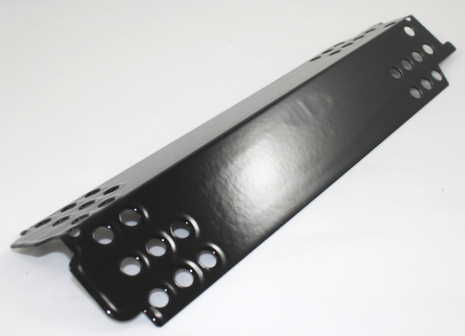 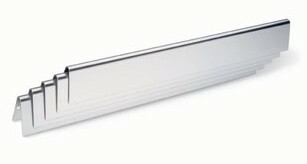 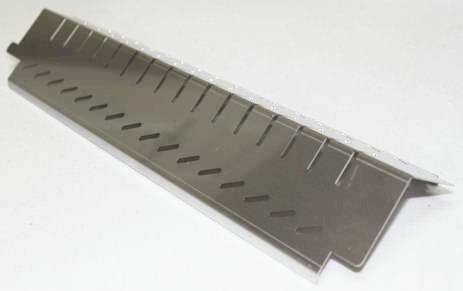 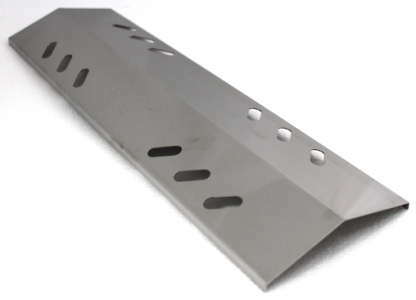 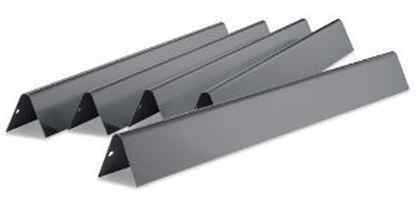 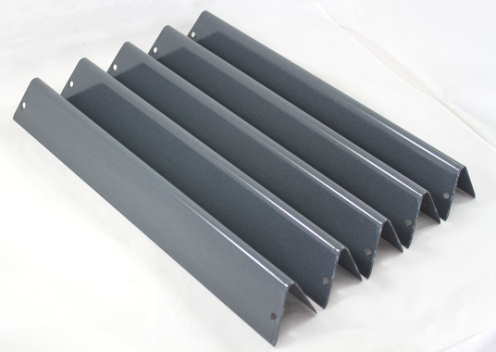 Measures 17-5/16" front to back X 8-1/4" wide. 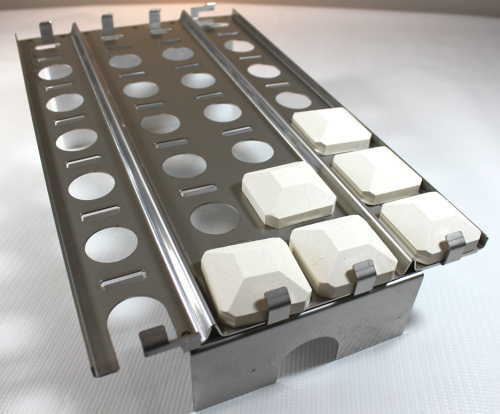 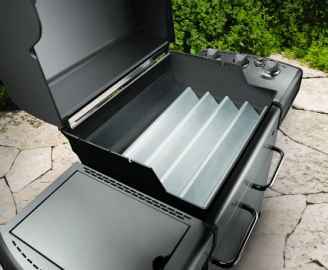 Fits a variety of Nexgrill, JennAir, Vermont Casting and Costco/Kirkland models.